Xotic is a pretty interesting game. 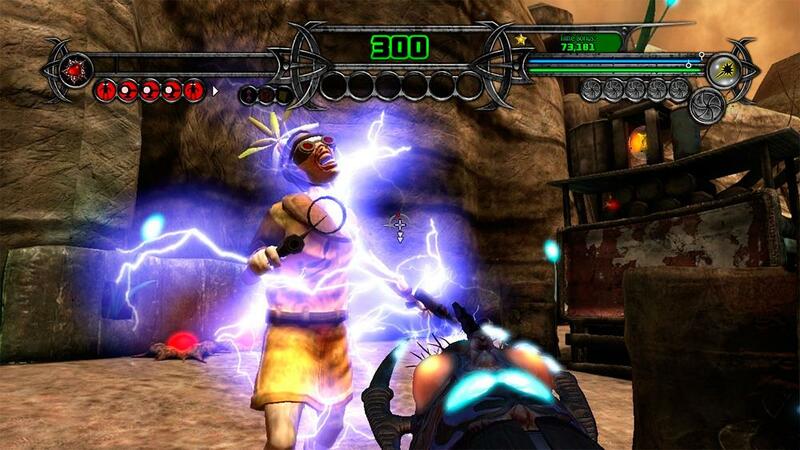 While low on story elements, it contains some fun shooting elements, an awesome soundtrack, and competitive scoring to be had with friends using the game's leaderboard system. 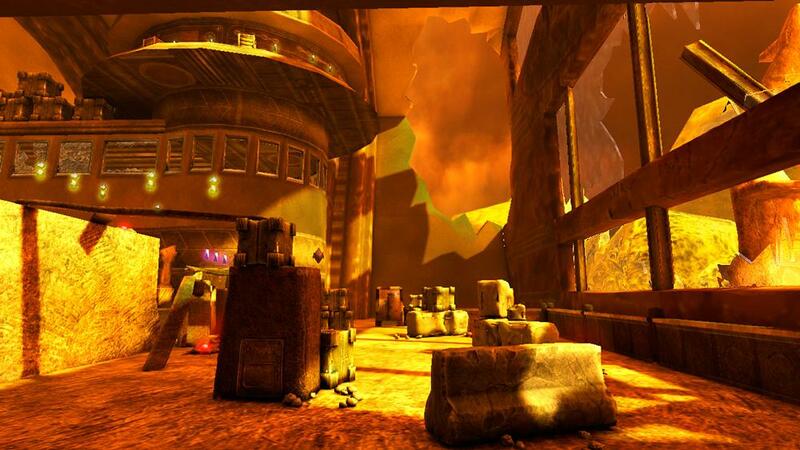 This game is coming from WXP games, and Xotic is their first Indie and PC release. The goal of Xotic is to eliminate all enemies on each level to progress, but it's also important to focus increasing your score before moving on. There are many red orbs in the game called scab plants, and shooting these will also taking out the armed enemies will help your Terraform chain, which is your multiplier. You can get in on the action in each difficulty, but playing on a higher one is encouraged as you will receive an increase in your multiplier once your score is tallied up at the end of each level. What makes this game unique from other similar shooting games is the way you can move around the game. By pressing the Right Analog stick, you can a hologram, which is a octagon-shaped shield which can be used as a portable platform, and I believe it doesn't have a limited number of use, so you can use it multiple times to gain access to higher areas where secrets may be. The visuals are really neat in this game too, and are pretty colorful. It actually hindered me a few times when I was shooting the red orbs, and then would suddenly get hit by an enemy who didn't seem to really stand out from the bright colors, costing me death a few times. After a level has been complete, you'll have a chance to upgrade your skills to better rack up points, and can go back to any level to improve your score and test out your new upgrades. What I really enjoy in this game besides the fun & frantic action is the music. It's very futuristic and calming at the same time. There are techno hits in the game, but it's very original sounding and really make you feel like you're playing something different. We're all probably deep in the many retail games out now, but when you want to just sit back and listen to some futuristic tracks and score power-ups to advance to next level, Xotic is one I would recommend. 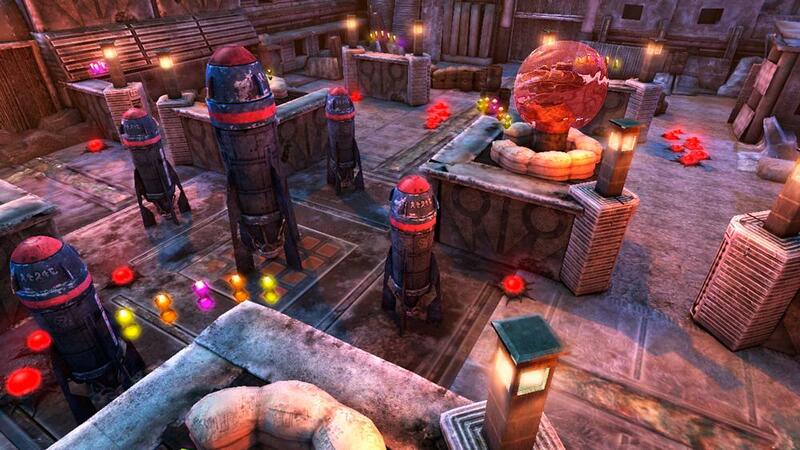 This review is based on The XBLA version of Xotic, provided by the Publisher, Valcon Games. 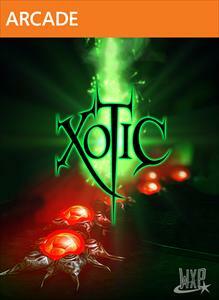 Xotic is available on Xbox Live Arcade for $10.